(Newser) – Martin Pistorius was a kid so into electronics his mom had no doubts about his ability to fix a broken plug for her when he wasn't yet 11 (which he did). But shortly after turning 12 in January 1988, things changed. He started sleeping more, barely eating, and ultimately effectively disappeared, unable to move or talk. The Daily Mail reports he was treated for cryptococcal meningitis and tuberculosis, but a final diagnosis was never determined. As NPR's new program Invisibilia reports, his parents were told "he's a vegetable." 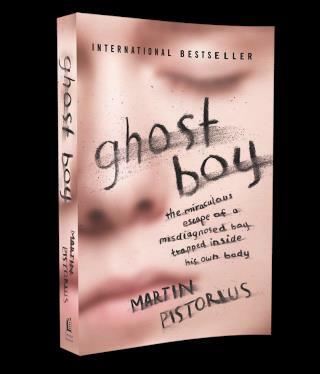 And for much of the decade-plus he spent in that state, Pistorius was treated like one. He passed his days at a care center, turned toward a television that played hours of Barney and Friends reruns. "I cannot even express to you how much I hated Barney," explains Pistorius—yes, Pistorius, who was fully aware for most of those years, even the moment when his despairing mother said to him "I hope you die." He tells his story to NPR via a keyboard that allows him to select words on a computer that communicates them. Even still, better to be THIS Pistorius than the other one! ever see Robin Williams in the movie Awakenings.